As you may have noticed, unfortunately the videos were deleted on vimeo. As soon as I can find any other source, I will name it here. Steve added a source for the videos in the comments. If you want to watch them, go here (maybe it is not the most legal way). Thanks, Steve! Reminds me of another one I need to see in the next weeks. I assume that you watched Objectified? @Johannes Oh yes, I’ve seen Objectified, a great documentary. The movie Beautiful Losers is also pretty good! Thank you for posting this! I’m definitely going to watch this tonight. 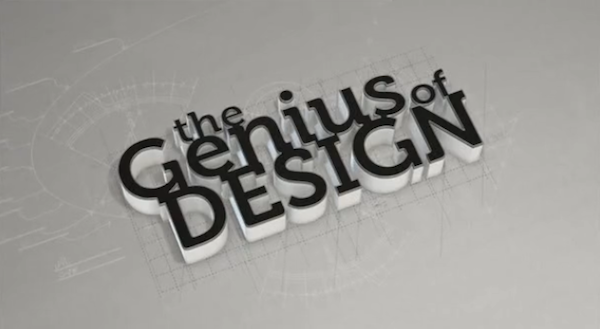 The Genius of Design | I love graphics! i thought it was a good doc, but could have been better. i kind of disagree the elements where it seemed very pro-capitalistic. could have presented social designers like Jacque Fresco perhaps.